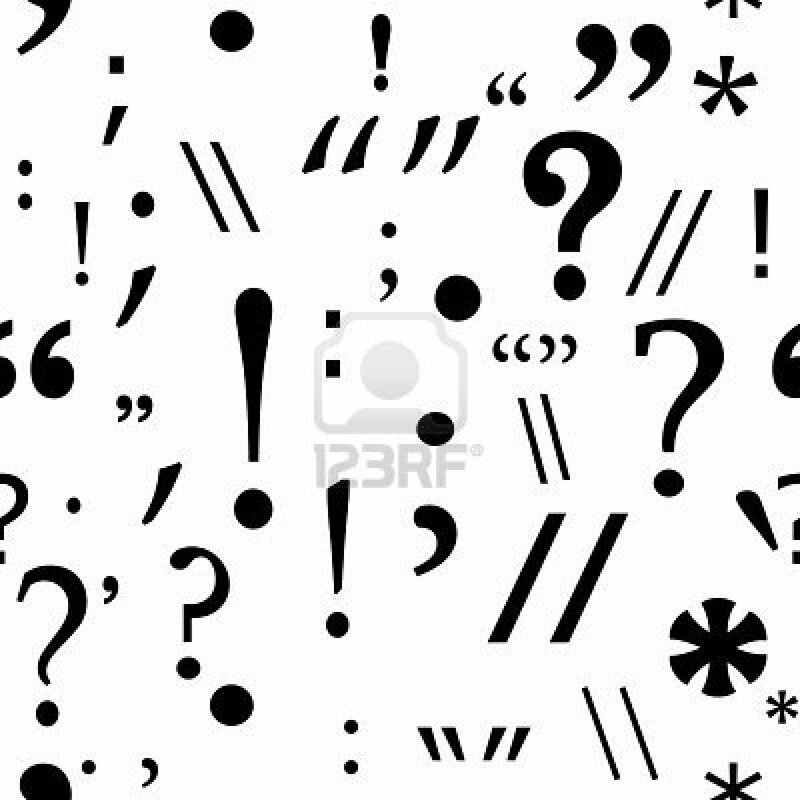 This article should help to clarify when and how to use various marks of punctuation. Each section contains explanations and examples of common punctuation mistakes. 1. Comma splices (commas between independent or main clauses). When the comma is used to separate independent clauses, there must be a conjunction connecting them. If the conjunction is not there, we have a comma splice. You can fix this mistake by using a period instead of the comma or by adding a coordinating conjunction such as but, and, or, yet, and so on. Wrong: The purse costs $75.00, I am going to buy it. Right: The purse costs $75.00. I am going to buy it. Right: The purse costs $75.00, and I am going to buy it. 2. Missing commas after set-off/introductory words or phrases. When you want to give an introduction or provide a background to a certain sentence, use a comma to signal a pause between the introductory element of a sentence and the main part of the sentence. Notice that an introductory element can be a sentence (like in the example below) or a single word (e.g., however, moreover, and so on). Wrong: Before going to the work Michael stopped at the coffee shop. Right: Before going to the work, Michael stopped at the coffee shop. 3. Missing nonrestrictive commas (commas setting off nonessential elements). Use a comma to signal the presence of a nonrestrictive element, that is, a word, phrase, or clause that gives additional information about the preceding part of the sentence, but which can be deleted without changing the basic meaning of the sentence. If the element is in the middle of the sentence, use a comma before and after the element. Example: Steve, who was the CEO of the company, was the first to speak. Example: Puerto Rico was a Spanish colony until 1898, when it was ceded to the U.S.
4. Unnecessary commas between subjects and verbs (often after restrictive elements). Do NOT use a comma with a restrictive element, that is, a word, phrase, or clause that restricts the meaning of the word or phrase it modifies. A restrictive element cannot be deleted without changing the sentence’s basic meaning. Wrong: I’ll return the necklace, that I borrowed, after I wear it tonight. Right: I’ll return the necklace that I borrowed after I wear it tonight. Wrong: The people, who set the church on fire, were never caught. Right: The people who set the church on fire were never caught. 5. Unnecessary commas between compound elements that are not independent clauses. Do not put a comma after the main clause when a dependent (subordinate) clause follows it. Reminder: A dependent clause is a group of words that contains a subject and verb but does not express a complete thought. Wrong: Bob was late for work, because his alarm clock was broken. Wrong: The cat scratched at the door, while I was sleeping. 6. Mistaking it’s or its’ for its. The word its, spelled without an apostrophe, is the possessive form of it, meaning of it or belonging to it. The word it’s, spelled with an apostrophe, is a contraction of it is or it has. Even though an apostrophe usually indicates the possessive form, the possessive in this case is the one without the apostrophe. The car is lying on its side in the ditch. It’s a white 1986 Buick. 7. Missing apostrophes in possessives. Apostrophes are often omitted in possessives referring to time, as in a good day’s work and two weeks’ vacation. However, if the noun after “of” is a building, an object, or a piece of furniture, then no apostrophe is needed! 8. Missing hyphens in unit modifiers. Use a colon at the end of a business letter greeting. Use a colon after an independent clause when it is followed by a list, a quotation, appositive, or other idea directly related to the independent clause. 10. Capitalization errors when quoting material. Capitalize the first letter of a direct quote when the quoted material is a complete sentence. However, do not use a capital letter when the quoted material is a fragment or only a piece of the original material’s complete sentence. Finally, if a direct quotation is interrupted mid-sentence, do not capitalize the second part of the quotation. **Bonus tip: The serial comma-the comma before the conjunction in a series of three or more items-may be used or omitted. Both practices are correct as long as one or the other is followed consistently.